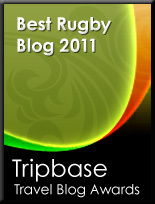 TOTAL FLANKER...a rugby blog: Has this man no shame? I think it's no clothes he generally has now. He probably realise it's his last chance to get into a Wales jersey in a long time. It looks like a reverse version of the God-awful red-white 'swoosh' kit England played in around 2007 / 8. Plus Red and Orange is not a good look. UBER HENSON FAIL! Enough Gavin, enough. Go and play some rugby, for whoever, then try for a Wales cap again. Or be a TV 'celeb' and earn a living that way. And yes, the new shirt is awful. We play in RED.